We want to be in every running community across Kansas. So we're opening up an opportunity for you to join our team! Do you have a passion for track and field and being behind the lens? Kansas Milesplit is looking for contributors to take photo/video from meets around the state to expand our coverage as much as possible. It's as simple as posting a photo gallery or making a few short race videos or post race interviews. With only one main photographer, it limits the number of meets we can be at on any given day. In a state like Kansas where there are so many great meets every weekend, the goal is to cover as many meets as possible through individuals who may be able to provide photos or videos of meets they attend. Are you a parent or student who already takes pictures or race videos of meets? Or maybe a part-time coach who can interview and promote your athletes? MileSplit is looking for photographers and video contributors in Kansas to help with our growth in coverage of meets across the state. This would be a paid position by event, during which you would be responsible for getting complete photo or race video coverage of the top cross country and track meets within the state, as well as interviews with top athletes and coaches. The contributor would be responsible for editing and uploading the photos or video content to MileSplit.com within a 24 to 48 hour window post-event. Regular paid writing assignments are also potentially available for meet previews, Q&A's, meet recaps, features and other content ideas. 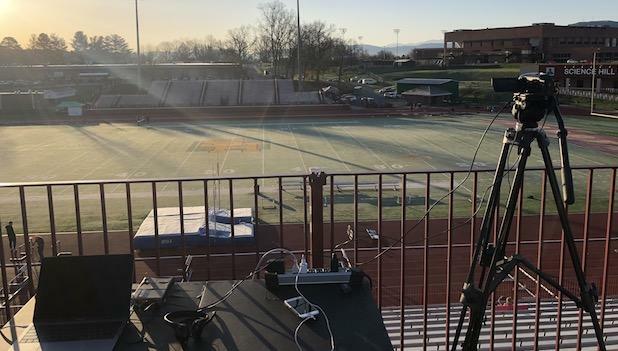 The job could expand into even greater work opportunities within MileSplit depending on the person's skill set and passion to cover the sport. If this is something you might be interested in or know of someone that would be good to take photos or shoot race videos/interviews for the site, contact me at jmadison@milesplit.com.